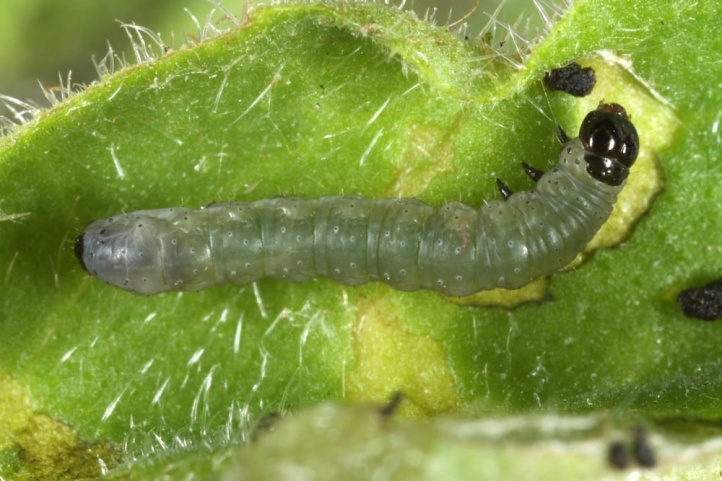 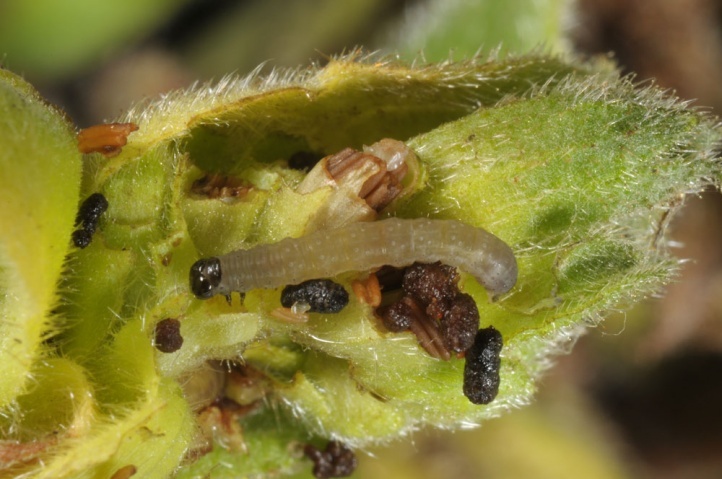 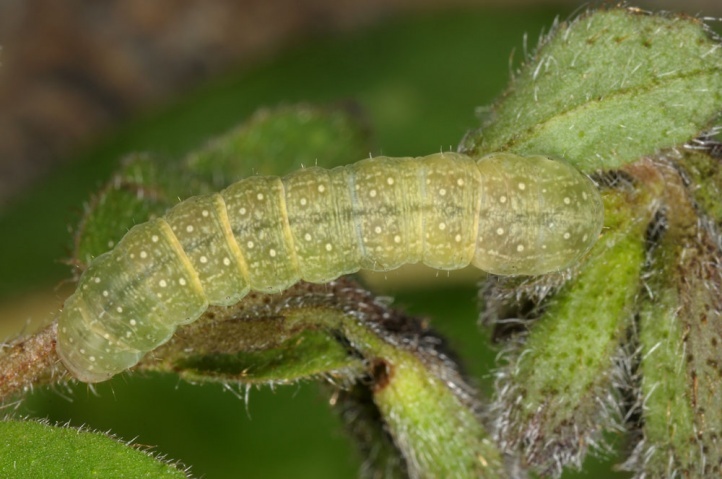 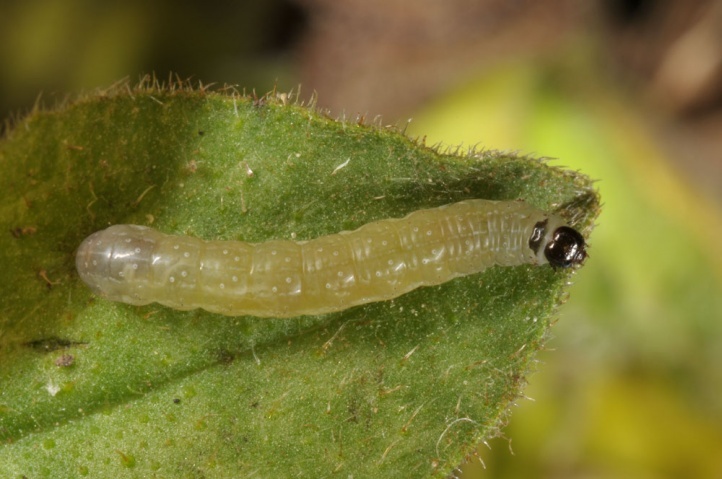 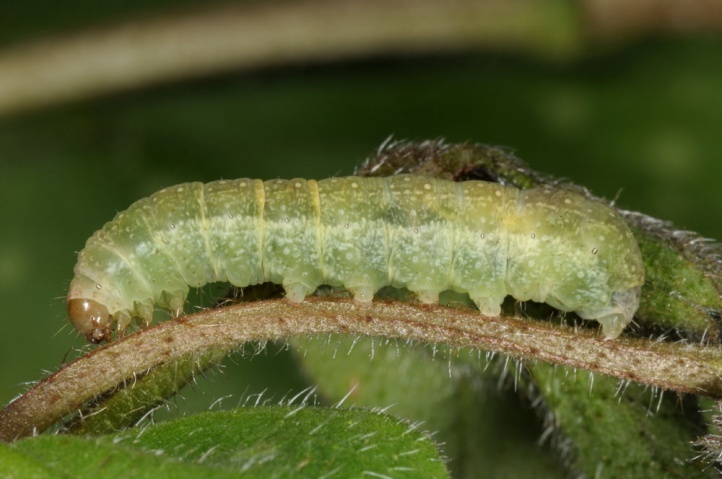 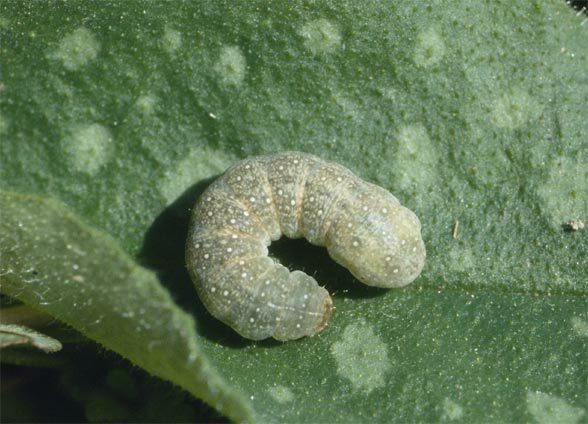 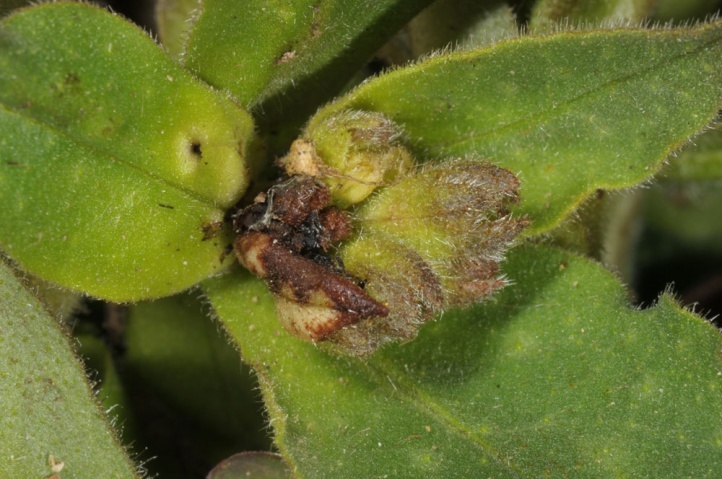 The larvae feed on Pulmonaria species. 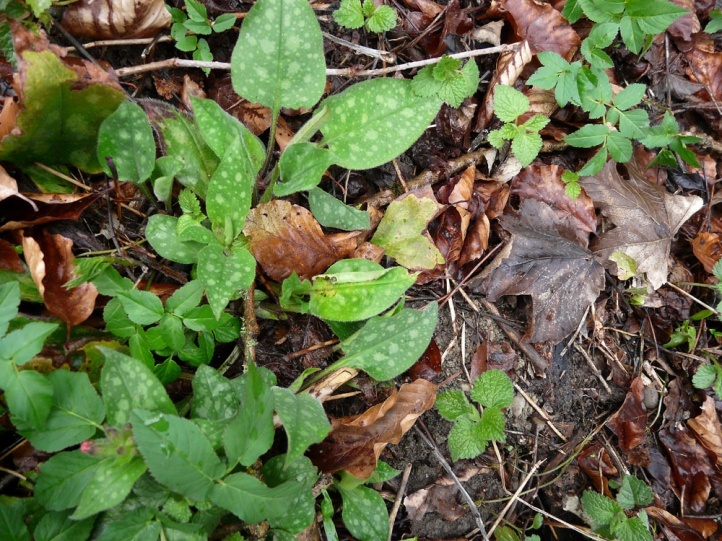 Atypha pulmonaris inhabits forests with occurrence of the host plant. 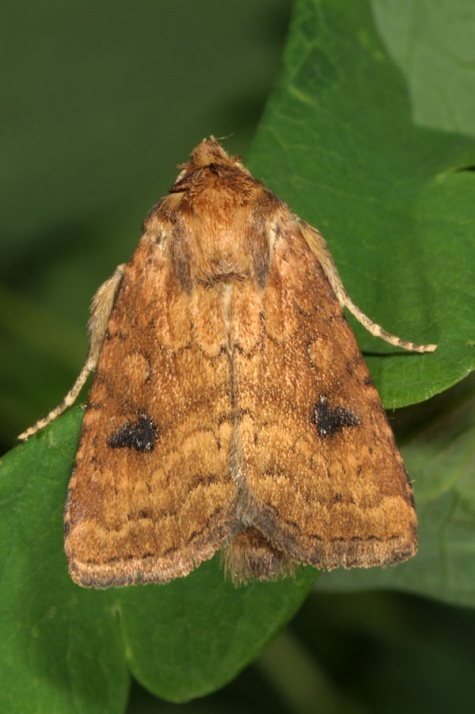 It is usually common in riparian forests or mixed forests in the Jurassic Alb mountains in Germany. 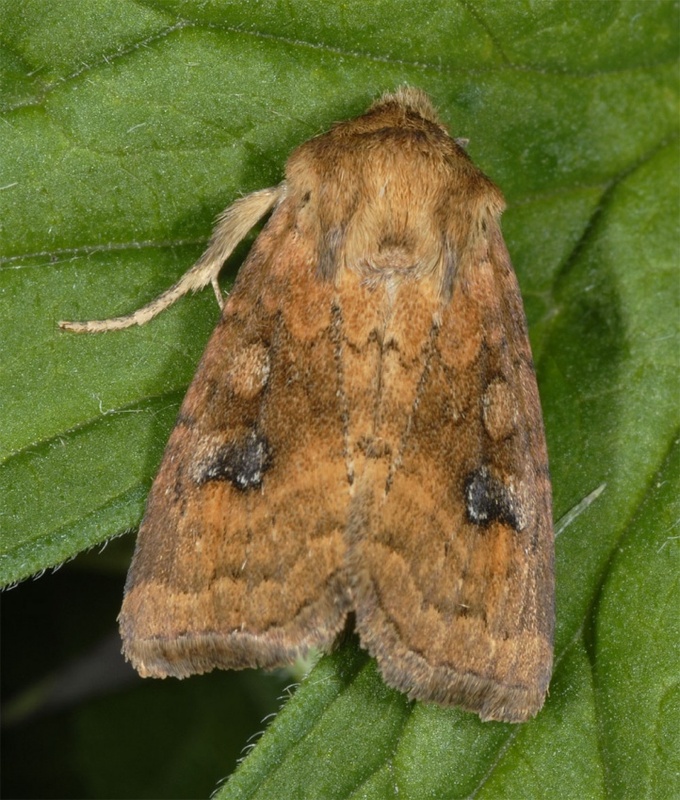 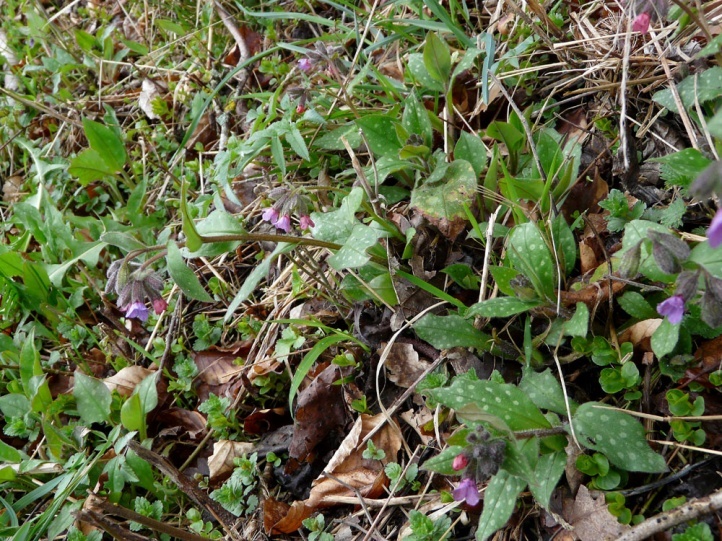 It is even found in hedge areas if Lungwort occurs in the understory. 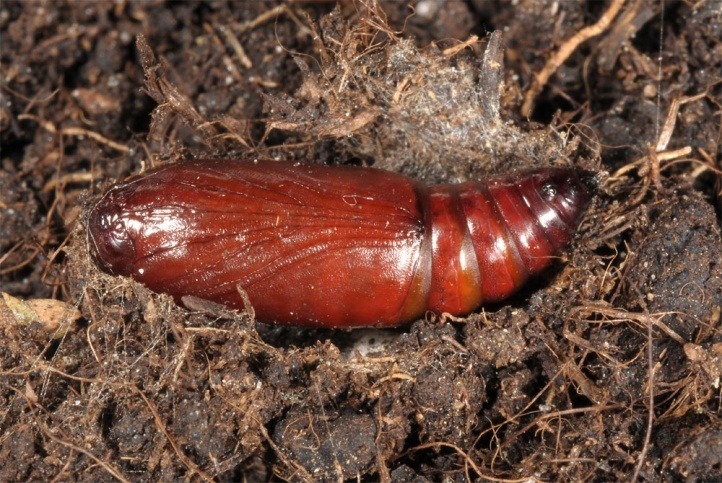 The egg overwinters apparently. 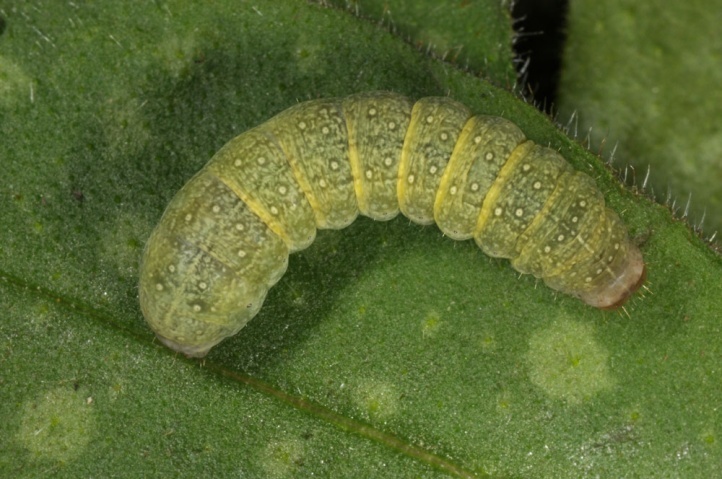 I found the caterpillars from late March to early or mid-May. 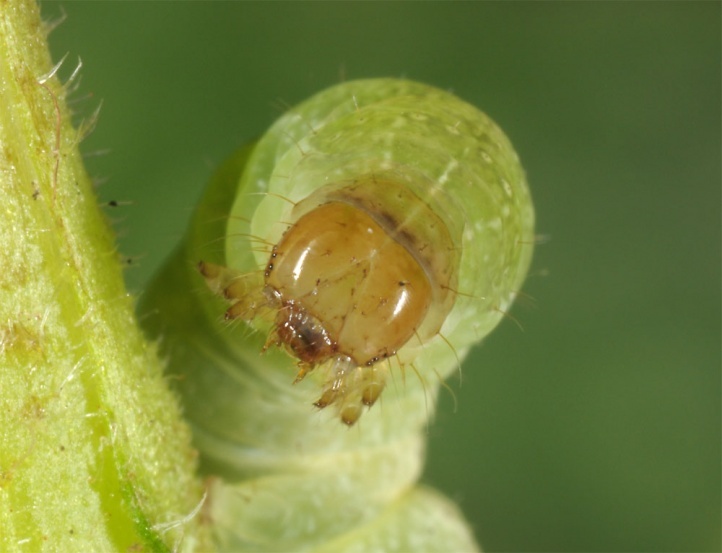 They live in the first instars in a spun shelter made of leaves/flowers, young mostly directly in the tip of a shoot. 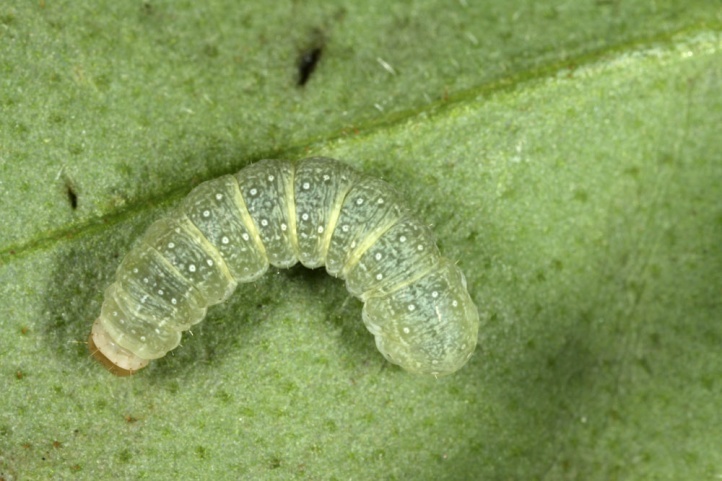 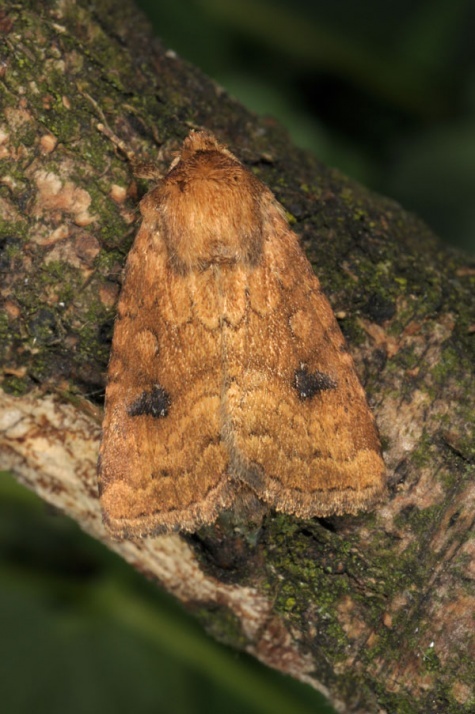 Half-grown caterpillars often live in shelters on leaves. 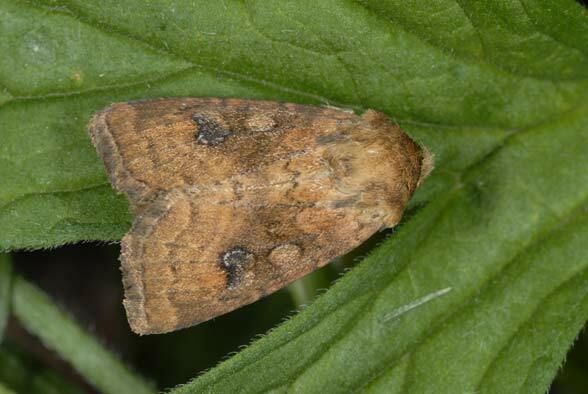 They fold up the margin on one upper leaf side mostly in the full length and web it together. 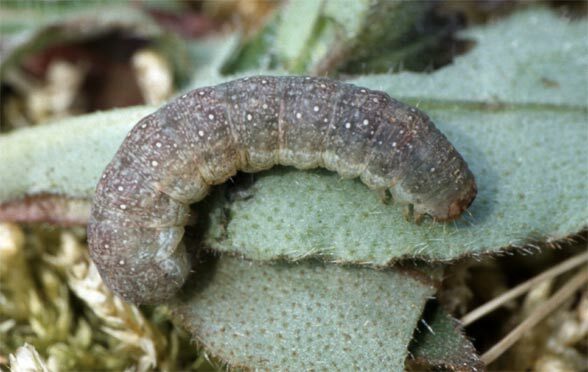 The older larvae live freely, however, and are hiding during the day on the ground in the vicinity of the host plants. 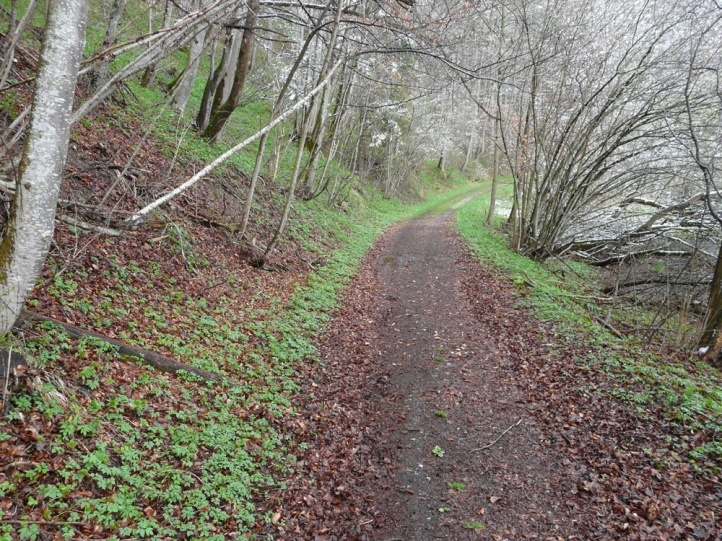 In places, Atypha pulmonaris has declined due to dark forest management and the destruction of riparian forests (as for example in the southern German Iller Valley). 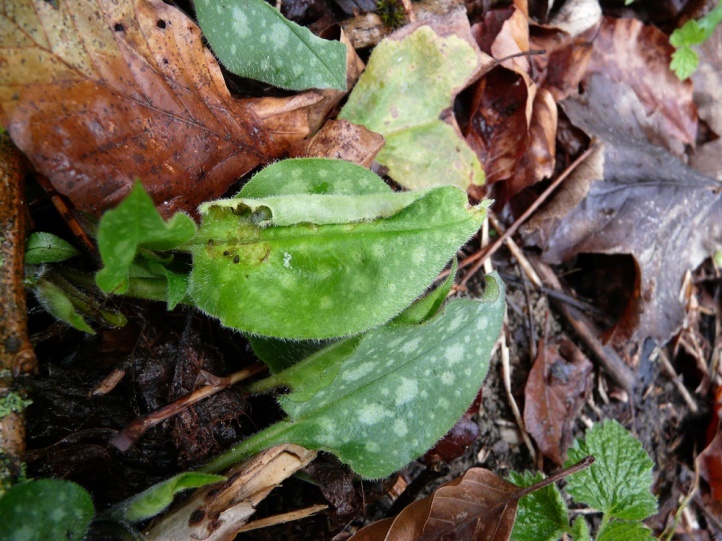 Overall, Atypha pulmonaris has no high requirements apart from the occurence of host plants and is widespread and common for example in most forests in the Swabian Alb. 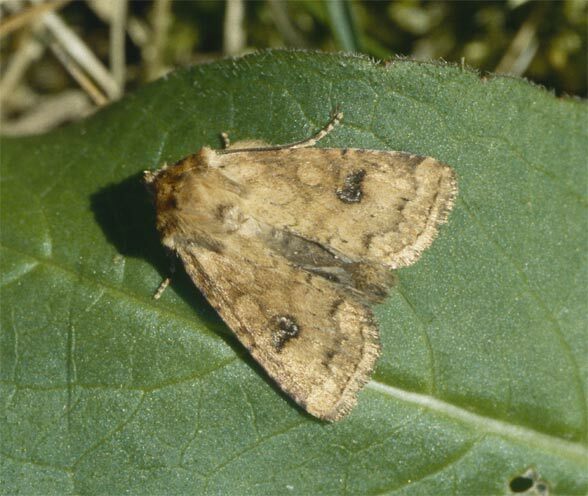 Atypha pulmonaris is widespread in Central and Southern Europe and also occurs in Asia Minor Asia Minor, but misses already in the north in northern Germany.